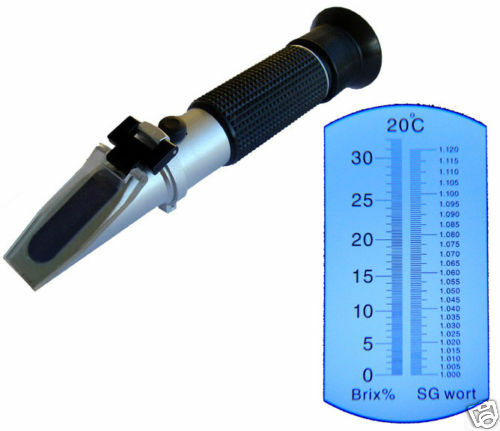 This hand-held optical refractometer measures the density of sugars in the solution and gives you an instant gravity readings at any point during the boil, or run off from the mash. 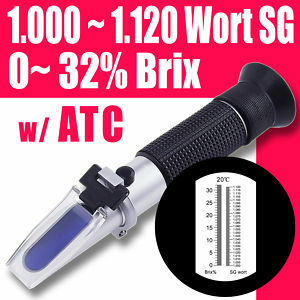 You do not need to convert the reading from Brix to specific gravity or do an adjustments for temperature. Great for quick and frequent check on the gravity of your running or while sparging, and also for those who do not like to deal with the temperature compensation necessary with a hydrometer. Unlike a hydrometer, it only requires a very small amount sample, about 2-3 drops of sample only. Made specifically for BEER brewing/making and one of the popular instrument with many homebrewers!